Sri Vignesh & Co (not Vignesh studio) is fast-growing company that sells religious and spiritual products (like Giri Traders) at a reasonable price. For Navarathiri, they have come up with Periyava vilakku and other products. Sri Kumar, who owns this company contacted me recently and requested this to be posted in the blog for broader reach. For further details, please contact them directly. The vilakku looks so beautiful. I dont think there is even a necessacity to even debate on this. Dont we use kamakshi vilku.? Dont we use mahaperiyava vigraham? These were not in practice some years ago. There are en number of vigrahams, calendres, books, songs. If we feel our bhakthi feels stronger looking at these and following our own puja style, why comment on it. Its upto each one of us how and what we want in our puja room. There is no right or wrong… who says one’s opinion is the RIGHT opinion. ? Lakshmi+ Some people use Kamakshi vilakku, yes. But is it right? Is it prescribed or approved in any of our scriptures? Is there any merit or advantage in using such lamps? We really do not know, but blindly follow others. Those of us who come in a Vaidic tradition should not take up practices which are not ours. Do our regular vilakkus or Kuttuvilakku have any image in them? Some may use Mahaperiyava vigraham. But those who have studied the subject say that any vigraham to be worshipped should be without any defect, and should be made with some Lakshanas. They should be made by qualified stapathis in a traditional manner. They are made individually.- they are not churned out in large numbers on machines. How do we know that vigrahams are without any defect?How do we ensure that the material/metal used is appropriate for the purpose? it is not like keeping any doll in the kolu. We do not use any metal image in the approved Panchayatana puja. People do use calendars with pictures of Hindu gods and goddesses. But after the year is over, what do they do with them? What do they do if they receive many such calendars?They just throw them away! Is it the proper way? It is only the ISKCON which specifically asks people to dispose of calendars/diaries with God’s pictures in a respectable way! We Hindus are insensitive in this matter. This Mahaperiyava vilakku has a peculiar problem. First, are we going to do puja to it? If so are we going to do pranapratishta? Or we going to treat it merely as an image? 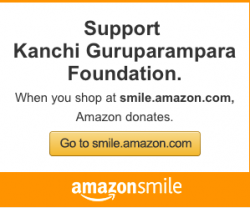 Do we really feel the presence of Mahaperiyava there? If so, do we not realise that burning of the lamp for long will generate heat and the heat will affect Mahaperiyava? Is this the right way to show our respect or bhakti? 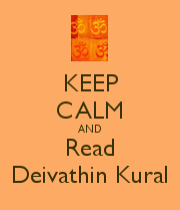 Many real devotees have experienced that lighting lamps close to any image of a Deity causes distress due to the heat.. There is a moving incident narrated with reference to a Hanuman image in the book “Jaya Jaya Hanuman” by Swaminatha Athreya. People who wish to do something will find some excuse for it. But we should really question ourselves whether this kind of exhibition of bhakti is healthy. No one else need compel us. After a stage, all discipline is self-discipline. Well, the fashion these days is that we directly/indirectly pester Periyavas to bless us with some venture (whether it is as per shastras or not) and ask someone there to also take a photo along with the acharyas.. They are great Mahans who would not want to hurt anyone or their ventures and so they are forced to kind of accept whether they like it or not..
For instance, heard a Sanyasi narrating this to someone – Someone staying abroad was to get married on this Yati Mahalayam day, that too which fell on a Saturday, that too during Mahalaya Paksham! I believe they had come to obtain the blessings from this Sanyasi. What can he do? He could only bless! You think even if he said NO, this is not correct, they would have listened to his words? Also, these days, there are just too many people who cut cakes having BIG Paramacharya pics behind them. And, they blow out the candles and also have a party! And, these kind of people say they are TRUE Mahaperiyava Bhaktas! SHAME. Bhakti doesn’t mean just narrating instances and making statements. It is for us to follow traditions that Paramacharya and others take an avatar to put this “truth” in our minds. Yet, do we follow? We simply keeping saying we are great fans/bhaktas of Paramacharya. I remember reading this a few years back in THIS BLOG that a girl/women started wearing madisar daily taking a firm decision to follow Paramacharya’s words.. Her reply was to some post I don’t recollect! This is called true Bhakti, not just wanting to follow, but to just follow right-away! What Jaya is very true about Maha Periyava Vilaku. Also plastic kumkum and majal chimizh. Will be thrown away in trash if they are plastic. Sorry will not buy. Instead of some new “innovation!”, first follow what was already innovated! Follow shastras and traditions first that already has all the so-called present-day “innovations”! Do we wake up in Brahma muhurtam? Do we drink milk as milk? Do we bathe in cold-water? Do we perform our anushtanas without seeing here-and-there? Do we eat Satvik food prepared by the women-folk at home (not the hotels/restaurant)? Do we wear traditional dress the whole day? Do we control ourselves by not watching TV/not doing whatsapp/refraining from unnecessary/unwarranted activities?.. There are so many many things that we need to do and we don’t put in even the least of the efforts to continue them everyday.. When we can’t even concentrate for a few minutes.. There are rules for everything.. We only know to question.. “Why Why Why”.. We don’t even have the mind to just follow the Shastras..
Is it given in Shastras that we light a lamp having a Sanyaasi/Guru as part of the lamp? Isn’t even one small pic of Paramacharya enough to pour our bhakti outwardly? Personally, I feel this is NOT a great IDEA and I believe this idea is not correct. God knows when all this “innovation” will stop and people start speaking truth and won’t show jealously and false pride and not throw their wealth for earning respect and start showing true bhakti in the simplest of ways already mentioned with Bhagavad Gita, Bhagavatam, Ramayanam, etc..
Paramacharya will be happy if we are SIMPLE and HONEST and not hurt/tease others (through mind/words/action) who have those qualities already with them. 200% agree. We all are collectively missing the important message from Periyava and going on doing several things that are not needed. Having said that, this kind of bakthi started long back – even during Pradosham mama days. Many of mama’s disciples wont even have any other Gods’ pictures in their houses. One might ask “Did Periyava approve that kind of worship?”. Mama believed that Periyava is enough for him and He will show all other gods to mama. In contrary, many follow the very traditional approach of having Mahaperiyava photo – just only one – in the puja room and do various other anushtanams what our tradition asked us to do. IEven today I have so many such people I see. There are some people in the middle – like me. I have all sorts of photos and vigrahams of Periyava at home but I do whatever upasanas that I am being initiated into starting from Panchayathana puja. Coming back to the question “Do we need these lamps?” – my first reaction was “why”. Later I realized that there are many devotees who would be very pleased to have a vilakku like this. There is nothing wrong with that. For bakthi, there is no one standard – it varies from person to person. Mahesh or Jaya can’t define that rule. From cleaning with soap etc – that was quite funny. For 200 years every household cleans the kamakshi vilakku with soap etc. We never asked the question if it is ok to put soap on kamakshi. but why now?! Don’t follow the logic. Lastly, I do not get any financial benefit from any of the commercial postings that I do here. They reach out to me to do the posting so that they get a broader reach. I do that as long as there is no villangam in that. 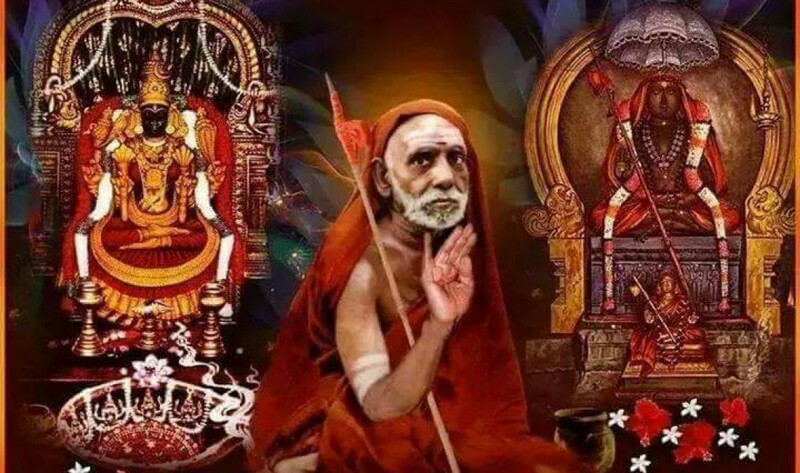 Mahaperiyava, today, is a million dollar industry – books, CDs, upanyasams, all these items – so many….More to come in the future too. Can we stop this? or should we stop this? Let it come…If you want to spiritually progress, do not get distracted by all these – keep following your upasana with utmost bakthi to our acharyas – you will make progress. All these commercial things will have its own cycle. Periyava will manage all these. Why do we waste time on this? Above, Bala periyava is seen blessing this venture. Don’t you think our Gurus know what is best and what is not to be encouraged?? Why should we usurp their duty to ourselves in these matters? The point here is Maha Periavals photos, padukas are all to be worshipped by doing Abhishekam etc-These lamps will have to be cleaned, is it so? by soap or other chemicals? many small issues have to be taken care in the case of our Gurus. As if we have listened to all that the religious pontiff said earlier or do we have a system like in the ancient days where the king asks the religious Guru for his advice? In the release of Adi sankara stamp, Govt.sought permission of Maha Periyava and Maha Periyava told his opinion and that was respected. For every damn thing that is happening He need not speak like a common man I think. Enough enough enough has been said and available like an ocean, valid for all times. where are we in loukika dharma and what is His level? I think to simply revere Him and pay obeisance will be the right attitude. radhikadesigns+. Madam, I understand your anguish. We all really know what our Acharya would say, as the Head of a traditional Mutt- that we should stick to and respect tradition. But the political situation in Tamil Nadu has been so peculiar, and so exceptionally vitiated against Hindu dharma that the moment the Acharya says or does something, that will be deliberately misinterpreted and the occasion used to vilify the Mutt. ( as it happened sometime ago in the instance of so called payer to Tamil Mother). It can be seen that Mahaperiyava scrupulously avoided expressing himself on any matter openly. Once, he suggested something regarding a provision in the draft Constitution on religious freedom, (Art.25) and that was accepted. But that suggestion was made discreetly. When some politicians sought his advice on India attaining Independence, he did say something but that was not given publicity. It was nearly 30 years later that part of it was disclosed in a Tamil magazine. But we note that WHATEVER HE SAID POLITICIANS SHOULD NOT DO, THAT IS WHAT THEY HAVE DONE! The situation of Hindu Mutts is so peculiar. Leaders of other religions may say anything, and they get away with it. But if Hindu leaders say something, they will be pounced upon, as if they have no freedom of speech. North Indian Hindu leaders do give their opinion on many matters- but they have mass backing. In the South, how many astikas will join a street march or demonstration? What we witnessed in respect of Andal sometime ago was exceptional. The REAL ISSUE HERE IS NOT RELIGIOUS OR SOCIAL, BUT CONSTITUTIONAL. Can the Court in a so called secular country interfere with the religious traditions of any religion? Can a secular court entertain complaints about and pronounce judgement on matters of internal worship? Can the court interfere with matters of just one religion? The worshippers of Lord Ayyappa follow some specific customs which are peculiar to the worship of Lord Ayyappa. Can they not therefore be considered a special group or minority? Do these matters come under Art.14,15,17 of the Constitution? Will they not get protection under Art.25? Muslim women are not allowed to visit some Dargas of some Muslim saints. Muslim women are not allowed to lead the prayer in mosques. Women priests are not ordained by Christians. Can these matters be considered as matters of “Constitutional Morality’? Will the court interfere in such matters also? There are indeed the real issues to be examined. In fact, Indian government has been discriminating against Hindus since Independence. You may not perhaps be aware that Babu Rajendra Prasad, our first President, raised the issue of government interference with Hindu law , and protested to Nehru, the then PM! But what has happened subsequently? In the circumstances, it is just right and prudent that our Acharya does not express himself openly on the subject. But if all heads of all Hindu Mutts or at least all Sankara Mutts should issue a joint statement, that will be different. But you know, such things do not happen. Hindus are divided and that is our weakness. But our brothers and sisters of Kerala have taken this up in a big way. That is a good sign. Namaskaram Sir, You’ve explained the current situation in TN, so beautifully. All valid points. You are right. What ever Sri Periyava Says it is wrongly interpreted in the current situation. People (anti Hindu group) are waiting for this. I am of the same opinion Mr. Hariharan. I saw a video in youtube, where some bhakthas, carrying Mahaperiyava portrait in a pallakku skewed, rotated, tumbled as if “It” is just a picture. I was shocked to see this and I was in great grief. This could be another such thing.